The week in politics just keeps getting better and better. In a brief and happy follow-up to an earlier post on Big Lizards, Terror Strike Out, we are pleased to report that Barack H. Obama's nominee to head up the Transportation Security Agency, Erroll Southers, has withdrawn. Or Obama withdrew him. Or he was informed that he would never be confirmed, so beat it. President Barack Obama's choice to lead the Transportation Security Administration withdrew his name Wednesday, a setback for an administration still trying to explain how a man could attempt to blow up a commercial airliner on Christmas Day. DeMint won't withdraw his hold until Southers answers a simple question -- does he think TSA employees should be allowed to collectively bargain with the government on workplace rules and procedures? To date, Southers has declined to give a definitive response to DeMint's question, even though it's importance was highlighted by the attempted Christmas Day massacre of nearly 300 people aboard Northwest Airlines Flight 253 by Umar Farouk Abdulmutallab. The 23-year-old Nigerian Muslim terrorist boarded the Detroit-bound flight despite having explosives sewn into his knickers. During testimony before the Senate Homeland Security Committee, two senators, Joe Lieberman (I-CT, 85% Dem) and Susan Collins (R-ME, 20%) -- the chair and ranking member of that committee -- questioned Southers about his abuse of authority when he was in the FBI. In response, he lied at least twice. He "corrected" his testimony only when he was caught. Southers later admitted that he used his FBI powers to run a database search on his "then-estranged wife's boyfriend," and that the FBI censured him when they found out; that was lie number one. The second was that in his corrected testimony, he said that he had gotten the local police to do the search; in fact, he subsequently admitted he had run it personally, himself. Each correction was issued only after the lie was discovered. The "coups d'étatist" just keep coming, don't they? Erroll Southers said he was pulling out because his nomination had become a lightning rod for those with a political agenda. Obama had tapped Southers, a top official with the Los Angeles Airport Police Department, to lead the TSA in September but his confirmation has been blocked by Republican Sen. Jim DeMint, who says he was worried that Southers would allow TSA employees to have collective bargaining rights. In an interview with The Associated Press, Southers said the confirmation process made him question his willingness to participate in public service. "I am not a politician. I'm a counterrrorism expert," Southers said Wednesday. "They took an apolitical person and politicized my career." The withdrawal of Southers' nomination was another setback for the TSA at a time when the government is still trying to answer questions from Congress about how a man was able to carry out a bombing attempt on Christmas Day on a Northwest Airlines flight found from Amsterdam to Detroit. Democrats had lined up behind Southers' nomination after the December incident, with Majority Leader Harry Reid, D-Nev., saying he would call for a full Senate vote on his confirmation this year. This is why I wonder whether another shoe was about to drop: Ordinarily, a president doesn't pull a nominee when the Majority Leader of the Senate has practically guaranteed a vote. Perhaps Southers, like ObamaCare, fell "victim" to the election of Scott Brown in Massachusetts... which means that Obama must have been pretty sure that Republicans would vote en masse against the Southers nomination. Frankly, I would find that unlikely... unless the president (or his nominee) knows something I don't know, a possibility that now becomes a probability. And that he had already abused his authority at one law-enforcement agency, then lied to the Senate about it at least twice -- a point he failed to bring up in his whiny withdrawal announcement. In any event, another Obamic nominee bites the dust. So it goes. The Washington Examiner notes that Sen. Jim DeMint (R-SC, 100%) has put a "hold" on Erroll Southers, Barack H. Obama's nominee to head up the Transportation Security Agency (TSA). The Senate has not yet acted on Southers' nomination for two good reasons. It looks like Erroll Southers, the Obama administration's nominee to head the TSA, corrected his testimony about his abuse of his position with the FBI only after Senator Susan Collins learned that his tesimony was inconsistent with FBI records and asked him to account for the inconsistency. To summarize this situation, about which I wrote here, In an affidavit, Southers admitted to Congress that he was censured by the FBI in 1988 for using his position to gain access to data about his ex-wife's new boyfriend. He claimed that he had asked a co-worker's husband who worked for the police to run the database search. When Senator Collins asked Southers whether this was the only case in which he engaged in this serious abuse, he testified that it was. The chronology set out in today's Washington Post answers the question. On November 19, Senator Collins voted in committee in favor of Southers' nomination. However, she did so "conditionally" and asked him to account in writing for the inconsistencies between his testimony and FBI documents she had reviewed. On November 20, Southers sent the letter to Senators Collins and Lieberman correcting the record. By that point, he had no choice. Collins and Lieberman have indicated that, regardless of his lack of candor in previous testimony and his admitted (multiple) abuses of his authority, they're ready to vote to confirm Southers anyway. But let's get back to the unionization issue. Jim DeMint has his own question, but I have mine: Suppose after extending "collectivization" (unionizing) to the TSA, they go on strike? And what if, during that strike, a terrorist boards an airplane (as did Abdulmutallab), uses a non-defective ignition system this time, and blows up the plane over a populated area, killing hundreds of people? How will the American citizenry react to such a concatenation of events -- a barbaric terrorist attack on us directly enabled by "labor action" in the TSA, action which has the blessing of Obama's new appointee to head up that very agency? Does the president understand the risk he's running? Does he understand the words "aborting his own presidency?" For the most selfish of all reasons, Barack Obama should seriously rethink his appointment of Errol Southers to such a critical position as Administrator of the TSA. It's one of those "serious" appointments, like Secretary of Defense or Attorney General; not a mere political plum -- like Special Advisor for Green Jobs at the White House Council on Environmental Quality, or something. When the text was leaked of a 2001 speech by Judge Sonia Sotomayor, tabbed by President Barack H. Obama to be his first Supreme Court pick, and it was found to contain a passage that reeked of classic "reverse racism" the explanation by the White House was that it was simply a "poor choice of words," almost a slip of the tongue; she had said, "I would hope that a wise Latina woman with the richness of her experiences would more often than not reach a better conclusion than a white male who hasn't lived that life." Supreme Court nominee Sonia Sotomayor delivered multiple speeches between 1994 and 2003 in which she suggested "a wise Latina woman" or "wise woman" judge might "reach a better conclusion" than a male judge. Those speeches, released Thursday as part of Sotomayor's responses to the Senate Judiciary Committee's questionnaire, (to see Sotomayor's responses to the Senate Judiciary Committee click here and here) suggest her widely quoted 2001 speech in which she indicated a "wise Latina" judge might make a better decision was far from a single isolated instance. I thought from the beginning that the defense was preposterous. The conclusion to her 2001 lecture wasn't a slip of the tongue or even just a "poor choice of words;" it was a long, extended rhetorical climax identifying the central thesis of her entire argument: that the gender and race of judge and litigants play, and should play, a huge role in how a judge decides a case. Her ancillary thesis was even worse: that whites and males are simply not as good at the job as people of "color" and females. And one to the CUNY School of Law (date not mentioned by CQ Politics). I would hope that a wise Latina woman with the richness of her experiences would, more often than not, reach a better conclusion. That makes seven times -- that we know of! -- that Sotomayor suggested women, and Latinas in particular, make better judges than whites and males. I believe we have here what civil-rights law calls a "continuing pattern and practice" of making racist and sexist comments in major scripted, edited, and rehearsed speeches before august legal bodies. This renders risible the defense that Sotomayor was guilty only of a "poor choice of words." This isn't just a slip of the tongue, it's a window into a profoundly racially and sexually biased judicial mind. When a person returns again and again over many years to a bizarre and controversial claim -- especially one that must be taken purely on faith, since all the evidence points against it -- then we must take seriously her absolute commitment to that position. And that means we cannot get away from the strong likelihood that her philosophical, ideological commitment to judging legal cases based upon race and gender, rather than purely upon the facts of the case and the relevant law, will recur; and that in some cases at least, it will determine her vote on the Supreme Court. This also means that Newt Gingrich was premature to withdraw his charge of "racism" against Sotomayor in favor of the more wishy-washy claim that she only made a racist statement. One such statement can be explained away by implying it was out of character, she doesn't really think like that, she had a brain-tongue interchange malfunction, she just slipped. But you don't slip on the same banana peel seven times unless, as with the Keystone Kops, the slip is entirely intentional: We must face the fact that Judge Sonia Sotomayor is, by any widely accepted definition of the words, both racist and sexist: She believes that one race is superior to another and that one gender is superior to the other. Were a judicial nominee found to have endorsed pro-white, pro-male bias with similar enthusiastic repetition, his nomination would never make it out of the Senate J-Com. It shames the Democratic Party that in the age of Obama, a cheerfully racist and sexist judicial nominee is still a "slam-dunk" for confirmation... because she's the right kind of racist and sexist. For some time prior to the resignation of Attorney General Alberto Gonzales, I argued with many Gonzales-hating conservatives that it would be a huge mistake to force his resignation -- even as I agreed with them that he was a lousy AG. My argument (which I think few of them ever understood) was with the second half of their clarion call: "Dump Gonzales," they cried, "and replace him with a real conservative!" The problem is that anyone who is better than Gonzales from our standpoint is therefore anathema to the Democrats, who now run the Senate. Note... not a single moderate in that entire bunch. By contrast, the Republican contingent in the Senate J-Com includes Arlen Specter (PA, 43%), Orrin Hatch (UT, 84%), and Lindsey Graham (SC, 83%)... the last two being much more liberal about judges than they are about other issues. All the Democrats need do is hold firm and vote against a nominee like, say, Soliciter General Ted Olson, and he will be rejected in committee; at that point, it would take an exceptionally clever parliamentary maneuver to bring it up in the full Senate. Even if Republicans managed to do so, the rejection by the J-Com would give ample cover to more moderate Democrats... who, truth be told, are not particularly fond of the very conservative Olson themselves, and will be looking for just such an excuse to reject him without incurring the wrath of voters. If conservatives believe that the American people will be outraged enough by the committee rejection of a Ted Olson (or equivalent) to rise up and smite the Democrats in 2008, I suggest they have allowed their own justifiable and principled passion make a fool of their political horse sense. The American people might be angered by an outrageous tactic like a filibuster against a Judge Alito or Judge Roberts... precisely because of the implied admission that the nominee had majority support, requiring a filthy, back-room deal to derail him. But why would Americans be any more angered by a 9-10 party-line vote rejecting Olson in the committee than they would be by a 10-9 vote confirming him? It's simply democracy in action, and real Americans accept that. Of course, the option of forcing resignation was snatched from conservatives' hands when Gonzales abruptly resigned by himself (probably because he was simply tired of fighting, the cowardly wimp). Now we shall see whether my analysis is accurate. The Justice Department is a disaster zone. It should be the embodiment of America’s commitment to the rule of law, but it has been contaminated by partisan politics. The nation’s top lawyers may have broken the law, and even may have sent innocent people to jail, to advance the interests of the Republican Party. To replace Alberto Gonzales, President Bush must appoint an attorney general who is above politics, and the Senate should only confirm a nonpolitical lawyer of unquestioned integrity. The names that have surfaced so far as potential nominees do not meet this standard. The next attorney general will have an enormous amount of damage to undo. There is considerable evidence that United States attorneys have been coerced into using their offices to help Republicans win elections. The orders may have come directly from the White House. Top officials of the Justice Department have admitted that they evaluated lawyers for nonpolitical jobs based on their politics. And Congress is investigating whether Georgia Thompson, a Wisconsin civil servant, and Don Siegelman, the former governor of Alabama, were sent to jail to help Republicans win governorships in those states. Well, against such a litany of charges, who could possibly fail to see the danger? Crimes may have been committed! Congress is investigating! There is considerable evidence! Unfortunately, President Bush does not appear to be considering a nominee who would do these things. The first name on his list is reportedly Theodore Olson, who may be best remembered for representing Mr. Bush in Bush v. Gore, the Supreme Court case that stopped the vote recount in Florida after the 2000 election. He was also on the board of the American Spectator magazine, which conducted the “Arkansas Project,” a well-funded campaign to dig up dirt on Bill and Hillary Clinton. It should be obvious that, notwithstanding the paucity of a real case against Olson, the Times and its proxies are anxious to have this fight and confident that Democrats will stand firm; and that's all it will take. If they do, Olson will be rejected in committee and Reid will be very unlikely to be forced into holding a vote of the full Senate on him. Emboldened by this victory, Democrats will continue to stand firm, whining to the sympathetic elite media that "the president keeps nominating people who are 'contaminated by partisan politics,' as even the moderate New York Times says." And I suspect we will end up having no Attorney General at all for the next fifteen months. President Bush may appoint an acting AG, or he may make a recess appointment. Either way, the man or woman sitting in the big chair at the Justice Department will be weakened by the knowledge that he's a temporary figurehead who could never be confirmed. As the main power of the Attorney General is to run the department, which requires what Communist Antonio Gramsci called "hegemony" -- or perceived fitness to rule, as I define it; the ability to get other people to obey your orders -- such an interim appointee would be crippled and probably less powerful even than Alberto Gonzales himself. In which case, Gonzales' resignation will have hurt the president severely. "Thank you, mask-man." I don't always enjoy being right; I would be overjoyed to be proved wrong this time, seeing Ted Olson nominated and battling his way to confirmation. But I doubt it. Bound for Glory - INSTANT UPDATE! Now that so many conservative Republicans (especially bloggers of the Right) have got their wish, and Attorney General Alberto Gonzales is out the door, I eagerly await the rest of their promised scenario: I now wait with bated breath for the strong, conservative, take-no-prisoners Attorney General nominee who will take firm control and start enforcing the conservatives' favorite laws with vigor and enthusiasm! And especially strongly enforces the new ban on partial-birth abortion. So let's see it; let's see the next John Ashcroft who will be easily confirmed by the Democrats in the Senate... because he's so darned good, even Majority Leader Harry "Pinky" Reid (D-Caesar's Palace, 90%) and Sen. Charles Schumer (D-NY, 100%) cannot deny him. I'm sure the Democrats will cooperate. They would never demand that the president pick from a short list prepared by Sens. Schumer, Ted Kennedy (D-MA, 100%), Carl Levin (D-MI, 100%), and Russell Feingold (D-WI, 100%). Now we're sure to get someone who will make it his priority to round up all the illegals and deport them, clean up Democratic corruption, press forward strongly with updating and defending the Patriot Act, strongly enforce the ban on partial-birth abortion, land on voter fraud like a ton of bowling balls, and authorize all current and future intelligence operations against terrorists. After all, the Democrats only want what's best for the country, too. Surely the Democrats will not see this resignation as encouragement of their thuggish tactics against Gonzales. Rather, I'm convinced they will now feel guilt and remorse over the way they hounded an innocent man out of office. Democrats are human too; I cannot imagine them crowing in triumph, having driven both Karl Rove and Alberto Gonzales out of office in the same month. Not only that, but the departure of Gonzales will assuredly lead to a big jump in President Bush's approval ratings. America has been desperately waiting for him to get rid of Gonzales and appoint a much more conservative fellow; and they will react to the nomination and confirmation process by showing strong, new support for the president. I wouldn't want to insult our friends across the aisle. I'm sure they will no longer seek to interrogate Gonzales about any of the ginned-up "scandals" they have tried to hang around his neck. And while it might appear to partisans that President Bush is now on the ropes -- having had to throw two of his most trusted Texas friends to the howling Democratic dog pack -- I'm sure Democrats such as Squeaker of the House Nancy Pelosi (D-Haight-Ashbury, 95%), Reps. Henry Waxman (D-CA, 95%) and John Conyers (D-MI, 100%), and Sen. Patrick Leahy (D-VT, 95%) will accept the resignation in the spirit in which it's given: They will urge the president to nominate the best man or woman for the job, without regard to ideology, and promise to quickly confirm any strong, principled, conservative leader sent to the Hill. I'm equally morally certain that the conservatives are right: The Democrats will not use the resignation of Gonazles as "vindication" of their wild accusations against Gonzales, will not take this opportunity to demand the reinstatement of those fired U.S. Attorneys, will not demand that any AG nominee agree to give Congress veto power over the firing of future U.S. Attorneys or presidential aides, and won't insist that the president's advisors, such as Harriett Miers and Karl Rove, testify under oath whenever Congress summons them. I'm sure they will be more than willing to confirm an Attorney General who promises to continue to fight all these battles against the Legislative branch on behalf of the Executive, because deep down, Democrats in Congress yearn for the strong constitutional separation of powers that prevents them from running all policy from Capitol Hill. So thank goodness Gonzales resigned to clear the decks for a powerful, competent, thoroughgoing conservative Attorney General to rescue the administration from its drift towards comprehensive solutions to bipartisan problems and back to the principled, uncompromising, man-the-barricades domestic policy that we are assured will flow from the resignation of the mushy Alberto Gonzales. I can hardly wait for the triumphant confirmation hearings to see the chastened, humbled Democrats! Allow Sen. Clinton to vent her spleen on Chertoff's role in investigating Whitewater. I'm sure he'll just cruise to confirmation, being so beloved on the Hill. UPDATE²: Heck, even Sen. Schumer himself said “Democrats will not obstruct or impede a nominee who we are confident will put the rule of law above political considerations.” If you can't trust the word of Chuck Schumer, who can you trust? And of course, the confirmation hearing that would have to be held for whomever Bush nominates to replace Chertoff as Secretary of Homeland Security won't pose any problems of its own. Again, the Democrats, realizing the seriousness of the situation and being foursquare behind President Bush's response to 9/11, will swiftly confirm any serious-minded war-fighter Bush nominates. "It should be clear to the president that there needs to be a new strategy," said [sic] Alexander told The Los Angeles Times. "Our policy in Iraq is drifting." Gregg, who up to now had belonged to the camp of hardliners on Iraq, said in an interview with the same newspaper that attempts to put down the Iraqi insurgency with higher numbers of US troops "don't seem to be making a lot of progress." Judd Gregg has an ACU rating of 72%, exactly the same as Lamar Alexander. Gregg and Alexander fit the pattern: So far, every GOP senator who has come out against the war or "the surge" has had a partisanship score of 75% or less. The House of Representatives is too large for me to deal with now; but you would need at lesat 56 Republican defections, assuming every Democrat in the House votes for surrender. Let's just stick to the Senate for now -- as overriding a veto requires overriding it in both bodies. So how many potential defections are there, if all the RINO senators -- who today swear they will not support timetables for withdrawal or a cutoff of troops -- change their minds and betray the country anyway? Are we in danger of Congress overriding a Bush veto of withrawal-timetable-defunding legislation? No other Republican comes close to these scores: Above 75%, the next nearest Republican is Kit Bond (MO, 80%), followed by Lindsay Graham (SC, 83%), and then several senators at 88%. In the list above, those senators who are up for reelection in 2008 (class II) are in blue font; those who have already "come out," that I recall (made anti-war, anti-counterinsurgency, defeatist comments) are in boldface. Also, we must assume that Sen. Joe Lieberman (I-CT, 75%D/17%R) -- who believes in the war so strongly that he actually left the Democratic Party over the issue -- will continue to support the war effort; so he will always be a vote against withdrawal, timetables, and defunding the troops -- so too with John McCain, despite his RINO status. Now that John Barrasso (R-WY) has been appointed to take the seat of deceased Sen. Craig Thomas (96%), there are again 49 Republicans. Overriding a veto takes 67 votes, so 34 votes against overriding will sustain the president's veto: Thus, we can lose as many as 16 Republican defectors and still sustain (counting Lieberman as one extra "GOP" vote on this issue). Counting the RINOs above who are up for reelection in 2008 combined with those who have already "come out," I get a total of 14 possible defections... which would be close, but not catastrophic enough to override a presidential veto. And that is assuming that every, single Republican RINO up for reelection next year votes for withrawal or defunding... which I actually consider pretty unlikely. So we need to keep vigilant; and those readers in states that have wavering GOP senators need to keep their senators' noses to the fire about the counterinsurgency. But I do not think that the defeatists will be able to cram surrender down our military's throat. At least not until the next Congress; and by then, I believe the war will be won, and the only thing left to do for Democrats and their "defeatocrat" allies in the Republican Party will be to claim credit for the victory: "We killed al-Qaeda and Iran -- vote Democrat in 2010!" The White House moved again for a Senate endorsement after Ohio Republican Sen. George Voinovich, who joined Democrats in blocking Bolton last year, said on Thursday he now backs him. Senate Republicans and the administration expressed confidence Bolton would be approved this time, particularly with the need for an experienced hand at the United Nations during the Middle East crisis. A spokesman for Sen. Richard Lugar, the Indiana Republican who chairs the Foreign Relations Committee, said the Senate would probably vote on Bolton in September, after its summer recess. However, a big obstacle to Bolton's confirmation remains: he served in the National Guard. As we have learned, Democrats consider the National Guard to be nothing but a disreputable and dishonorable way to dodge the draft by poltroons who haven't the courage to run away to Canada and become counterculture hippie-heroes. It's not clear whether the "Guard hurdle" can be o'erleapt. In the last cloture vote on Bolton's nomination, June 20th, 2005, 54 senators supported bringing it to an up-or-down vote. 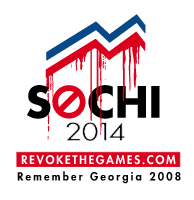 Assuming Sen. Voinovich makes good his threat to return to the fold (all is forgiven! well, maybe not all), that would still leave the Republicans five votes short. They will have to pick up support among Democrats and some very, very liberal Republicans on the basis of Bolton's performance the last year in the U.N. On its face, this should be easy; much of the Democratic emesis was (they claimed) due to angst about whether he could comport himself publicwise. Over the last year, Bolton has avoided actually striking anyone at Turtle Bay or even setting fire to the Syrian ambassador's beard, and not a single New York eatery has chucked him out for boorish table manners... so perhaps the naysayers can find the courage to admit they were wrong about him: he cleans up nice. But there's still that pesky National-Guard thing; we have to consider that. All told, I'd give him a 50% chance of being confirmed. Much depends upon the perception of who's got the "mo" in the District these days, Bush or the Democrats. On that basis, Bolton should be confirmed in a snap. But the deplorable fact of his uneventful service in the National Guard will weigh heavily on the minds of the Democrats. ...And a pair of astonishing admissions by Reuters! Wyden said Hayden had not kept Congress fully informed of the eavesdropping program and had made misleading statements in previous appearances before Congress. "General, having evaluated your words, I now have a difficult time with your credibility," Wyden said. "So with all due respect, general, I can't tell now if you've simply said one thing and done another, or whether you have just parsed your words like a lawyer to intentionally mislead the public," Wyden said. Hm... let's see if we can't suss this one out: Hayden had been the head of the ultra, ultra-secret National Security Agency. He was often asked in open session detailed questions about highly, highly classified programs. He was asked by senators who know that in many cases, failure to respond is, in fact, a response. So in some cases, he deflected those questions. He failed to respond without appearing to fail to respond. I think Sen. Wyden has been spending too much time hanging around with his pals, Sen. Jay "Letter-Stasher" Rockefeller (rankling member of the Senate Select Committee on Intelligence) and Sen. Patrick "Leaky" Leahy (erstwhile member). Under the program, the NSA monitors international telephone calls and e-mails to or from suspected terrorists without first obtaining a court order. Responding to a question from Levin, Hayden said he had been uncomfortable with some of the prewar analysis coming from the Pentagon suggesting there was a link between al Qaeda and then-Iraqi President Saddam Hussein. I consider that evidence to be overwhelming and growing more so with every week's worth of translated documents, many of which show a much deeper al-Qaeda/Iraq connection that we ever realized. Thus, if Hayden is saying that now, today, he doesn't see any connection... well, that would be pretty bad. But the way this is phrased, we don't even know what the question was that provoked this response; nor do we know exactly what Hayden said. The question may have specifically been couched in the timeframe of 2002, and Hayden may have been saying that at that time, he was uncomfortable with that claim. Senator Levin asked General Hayden whether he had disagreed with Douglas J. Feith, the under secretary of defense for policy, who established an intelligence-analysis cell within his office. The senator recalled that Mr. Feith's unit suggested a link between Iraq and Al Qaeda, and whether the general was "comfortable with Mr. Feith's office approach to intelligence analysis." "No, sir, I wasn't," the nominee replied. "And I wasn't aware of a lot of the activity going on, you know, when it was contemporaneous with running up to the war. No, sir I wasn't comfortable." The general's portrait of the C.I.A. he would like to preside over seemed to be one of esprit, imagination and discretion. "C.I.A. needs to get out of the news, as source or subject, and focus on protecting the American people by acquiring secrets and providing high-quality, all-source analysis," he said. All in all, though -- unless the Democrats have some bombshell and are showing out-of-character restraint in telling the press about it -- I think Hayden will have little trouble during these hearings, and his nomination will easily be confirmed by the full Senate. And it should be. ...involves a missing set of "scare quotes" around one particular word. 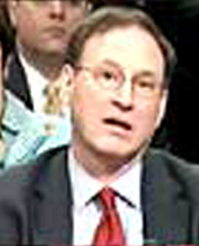 Sam Alito listens to Sen. Patrick "Leaky" Leahy (D-VT). 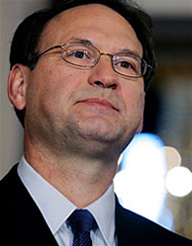 Sam Alito listens to Sen. "Slow" Joe Biden (D-DE). Sam Alito listens to Sen. Edward Kennedy (D-Margaritaville). 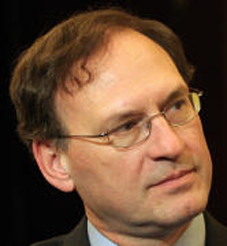 Sam Alito listens to his iPod. 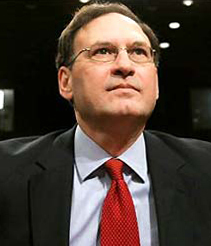 The New York Times today reports that the interrogation of Judge Samuel Alito today focused on a formerly obscure concurrance by a Supreme Court justice in 1952... in a case that has already been thoroughly analyzed, in far greater depth, by the tribunes at Power Line. The case they refer to is Youngstown Sheet and Tube Company v. Sawyer 343 U.S. 579 (1952), and Paul Mirengoff at Power Line first discussed it back in late December, anent the NSA intercept program that has just been outed by anonymous "officials." Paul only laid out the basics of the particular concurrance by Justice Robert H. Jackson that is now, more than two weeks later, the "focus of [the] hearings" into Alito's nomination to the Supreme Court. On New Year's Day, John Hinderaker took a whack at the Jackson formulation in a much longer piece. In 1952, the Supreme Court faced a set of clashing interests in the Youngstown case broadly similar to those in the current surveillance controversy. That April, President Truman seized the nation's steel mills to prevent an expected labor strike, saying that national security during the Korean War required uninterrupted access to steel. In June 1952, in a 6-to-3 decision, the Supreme Court rejected the various legal rationales offered by the Truman administration for the seizures. Many of those rationales have echoes in the justifications offered by the Bush administration for its detention of enemy combatants, harsh interrogations and domestic surveillance without court approval. "Echoes in the justifications..." wait, what did the Court actually decide in the Youngstown case? Writing for the court, Justice Hugo L. Black said the president's power was extensive but not unlimited. "Even though 'theater of war' be an expanding concept," Justice Black wrote, "we cannot with faithfulness to our constitutional system hold that the commander in chief of the armed forces has the ultimate power as such to take possession of private property in order to keep labor disputes from stopping production. This is a job for the nation's lawmakers, not for its military authorities." Ah, of course: seizing private property to prevent a strike. Yes, I can see how that's "broadly similar" to the National Security Agency intercepting phone calls from al-Qaeda to their agents in the United States. And I can definitely hear those "echoes in the justifications" offered by President Bush why he should be able to hold enemy combatants in military detention. There are, of course, obvious differences between the Youngstown case and recent efforts to combat terrorism. The seizure of the steel mills, for instance, was a wholly domestic matter. The surveillance program, by contrast, monitors international communications between the United States and other nations. Um, yeah. Also, Truman tried to seize the steel mills in order to prevent a strike that he thought might interfere with the war -- whereas the NSA intercepts are direct warmaking actions to gather enemy intelligence: as Hinderaker said earlier (more or less paraphrasing the president), "If al Qaeda is calling you, we want to know why." 3. When the President takes measures incompatible with the expressed or implied will of Congress, his power is at its lowest ebb, for then he can rely only upon his own constitutional powers minus any constitutional powers of Congress over the matter. "It is not entirely clear why Justice Jackson's concurrence has had such a lasting impact," disingenuously muses the Times; for it is completely obvious why: because that concurring opinion is all that the Democrats have to throw against the commander in chief's obvious Article II power to fight wars. Therefore, they're going to keep waving it as a bloody shirt to urge on the masses. In my opinion, reliance on this analysis by critics of the NSA programs is misplaced, for several reasons. It was a concurring opinion that no other justice joined. The decision in Youngstown was a no-brainer: "if a President's constitutional powers allowed him to formulate and carry out domestic policy, including the seizure of private property, by executive order, then the President really would be a dictator," sayeth Brother John. The argument turned more on the president's charge to "take Care that the Laws be faithfully executed" than his powers as commander in chief. It isn't clear that Jackson's discussion and his three-scenario formulation were ever meant to apply to the president's war-fighting powers: "Jackson lays out his three categories before he specifically addresses any of the executive's Article II powers, then begins by talking about the President's exercise of 'the executive Power.'" The Court rejected the claim that Truman's powers as commander in chief allowed him to seize the steel mills on the grounds that that was a purely domestic action -- but the NSA intercepts are of foreign-originating calls and e-mails. We should not use this occasion to circumscribe, much less to contract, the lawful role of the President as Commander in Chief. I should indulge the widest latitude of interpretation to sustain his exclusive function to command the instruments of national force, at least when turned against the outside world for the security of our society. But, when it is turned inward, not because of rebellion but because of a lawful economic struggle between industry and labor, it should have no such indulgence. The third category is where the president takes action at odds with the will of Congress. A 1978 law, the Foreign Intelligence Surveillance Act, appears to require court approval before monitoring of the sort the administration has acknowledged. John then lists the four-part definition of "electronic surveillance," as used by FISA, no part of which appears to apply to the NSA intercepts, assuming we have been given correct information by the White House. The "electronic surveillance" that has been "acknowledged" by the Bush administration does not, thus, "require court approval" or warrant of any kind. So the entire New York Times take on the NSA intercepts is wrong on its face, and needn't even reach the question of whether an act of Congress (such as FISA) can override the president's residual, plenary powers as defined in Article II of the Constitution.